Beth has lived in the Jackson metro area since junior high school and she graduated from Forest Hill High School. She earned her Bachelor’s degree in Business Administration from Belhaven College in 1990. Prior to obtaining her real estate license, Beth was a principal for 18 years at American Home Properties, a real estate property management company. 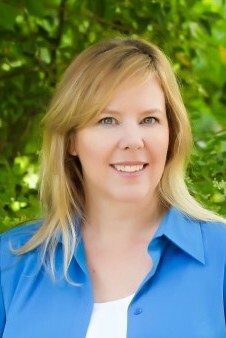 She specializes in working with both buyers and sellers in Rankin, Hinds, and Madison counties. Beth loves meeting new clients and she finds it very rewarding to work with buyers, first-time buyers, and sellers and help them through their real estate transaction. Her extensive experience in real estate property management offers a unique perspective that most other real estate agents don’t have. Beth also knows the Jackson metro area well and she will provide you with “Superior Service” from start to finish! Sellers, if you’re thinking of putting your Hinds, Madison, or Rankin County property on the market, contact Beth and she will help you get the most value and the fastest sale possible. She will assist you in making your home more attractive to buyers by staging your home and improving your curb appeal. Beth’s sellers will benefit from her experience as a Certified Interior Design & Real Estate Staging Specialist. Beth is married to Lance Stevens and they have four children. She is a life member of the Junior Auxiliary of Rankin County. Her hobbies include reading, gardening, and playing Scrabble with her favorite aunt. Beth is energetic and caring and she looks forward to helping her clients find the perfect place to call home. If you’re looking for a Brandon, MS real estate agent who will work hard for you, call or text Beth Stevens at 601-573-7779 or email her at Beth@HopperMS.com for more information.